I’m so excited about the announcement of a new picture-book I’ll be working on later this year with my editor for MISS MAPLE’S SEEDS, Nancy Paulsen. The story, called OUR BABY, written by Varsha Bajaj, celebrates a baby elephant’s birth. The text is so sweet, and is bound to be a great new baby gift! I’ve been paying special attention recently to photos and articles about elephants, and also got a pass for our nearby zoo so that I can sketch them up close. They are fascinating and intelligent creatures, it’s going to be fun spending more time learning about and drawing them. 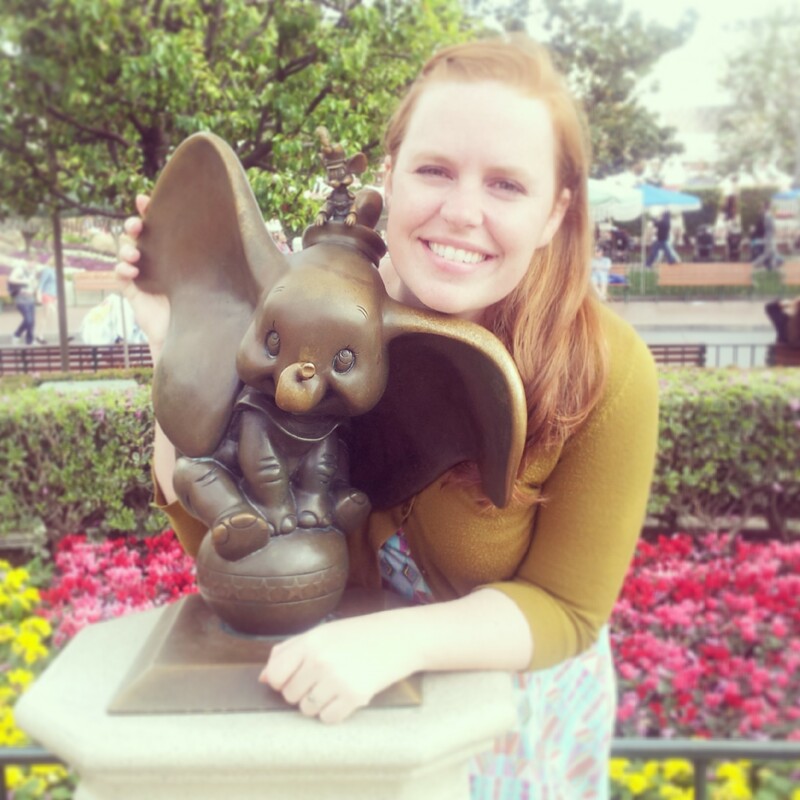 When I was young, one of my favorite Disney films was DUMBO. I’m looking forward to re-watching that for inspiration! I’m trying to collect elephant reference, so please feel free to share any links to articles, photos, or videos that you come across! I’m also especially looking forward to working with Nancy Paulsen again — her feedback is always so incredibly thoughtful, and she’s extremely supportive of the creative process. Nancy and I have been working back and forth since the publication of MISS MAPLE’S SEEDS to nail down my next book, and have worked through several story ideas. She’s been patient with my slow pace when it comes to the writing process, and it helps me to know she understands that a great book doesn’t happen overnight. She’s both honest and encouraging (a great combination). Nancy sent me a random email one day asking, “Have you drawn any elephants?” I hadn’t, but was eager to give them a try! So I made this sketch in response. The wrinkles and folds are going to be so fun to develop further! A huge thank you to Nancy Paulsen for giving me this opportunity, and to my wonderful agent Jen Rofé for working out all the project and contract details! Can’t wait to see this book! What an adorable picture. Thank you, Lynne! This link is great, I appreciate you sharing it! Thanks so much, Diandra! It is going to be such a fun topic to work with. Hope your illustrating is going well! Eliza, I think you need to add a cuteness alert to this post. The “baby” you have brought to life is everything I imagined and more! Haha – thank you so much, Varsha! Congratulations Eliza! Your elephant is so lovely! Looking forward to your illustrations and Varsha’s story. I met Nancy at the winter conference this year and I can see how she would be a joy to work with. Have Fun! Congratulations, Eliza! Your elephant is lovely. And luck you– you get to spend some time with elephants! It’s going to be a fun subject – thank you Dana! Hope you’re well! 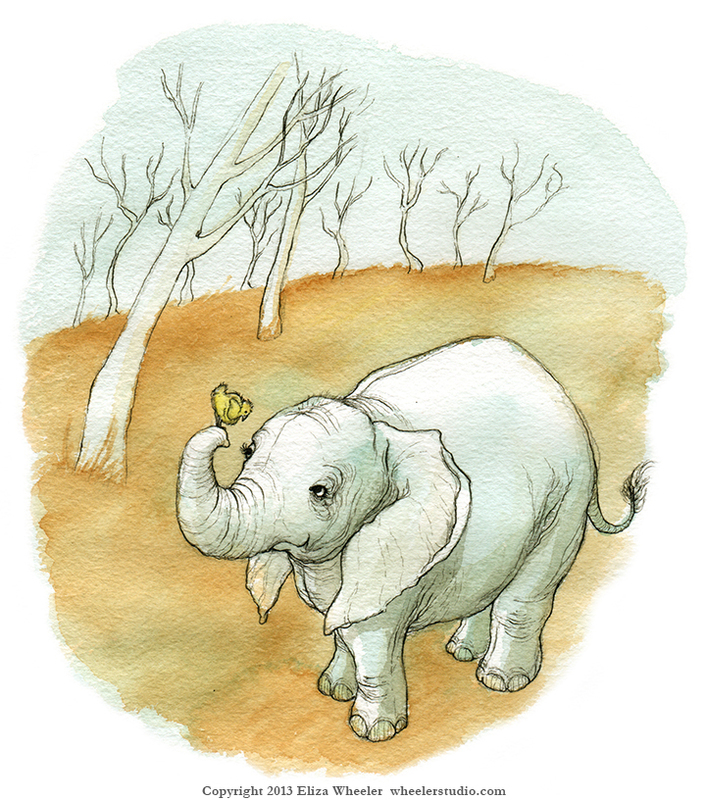 Love the elephant you drew – she is adorable! That sounds like such a fun project, Eliza! I can’t wait to hear more about it. That’s so awesome that the zoo gave you a special pass. Thank you so much, Jess! So awesome to hear about Miss Maple at the Boulder Bookstore. Yay! And hahaha – I can totally see how the title to this post may have given that impression!! Oh my – nothing like that happening around here yet. :) Hope to see you soon! Looking forward to it!! Your work is outstanding, Eliza! !